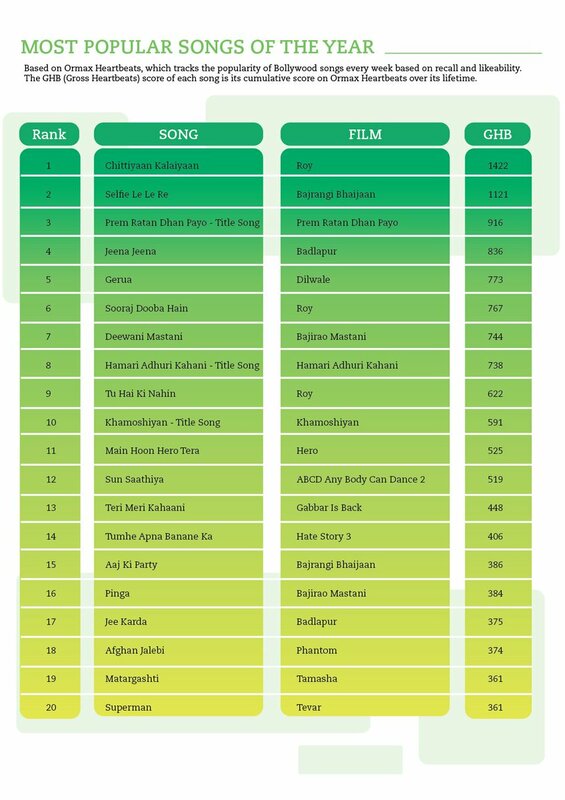 Top 20 most popular songs & top 10 most popular albums of the year 2015 - Ormax Heartbeats. There are two surprises this year - The underperformance of the album Tamasha and better than expected performance of Badlapur . 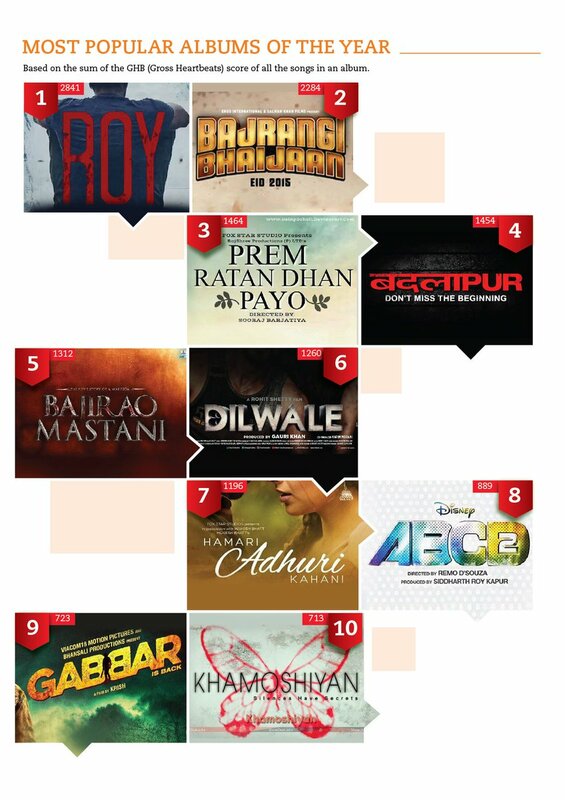 Top 5 film albums (Sep 2010 till date). Ormax Heartbeats completes 300 weeks. Ormax Stars India Loves: Top 10 male & female stars for August 2017. Salman Khan & Deepika Padukone own the no.1 spot.